Featured / Recipes / 14.04.2018. Made of rows of thin pastry and filling, it can be sweet or savoury, simple or lavish. 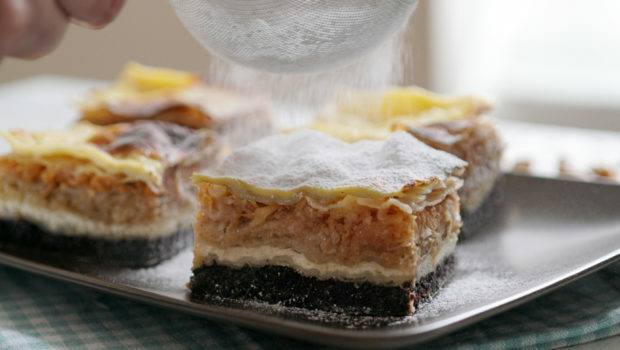 Even though in the past it was prepared of ingredients that people had in their pantries, such as fresh cheese or turnip, today’s version of Međimurska gibanica is a true feast for the palate. 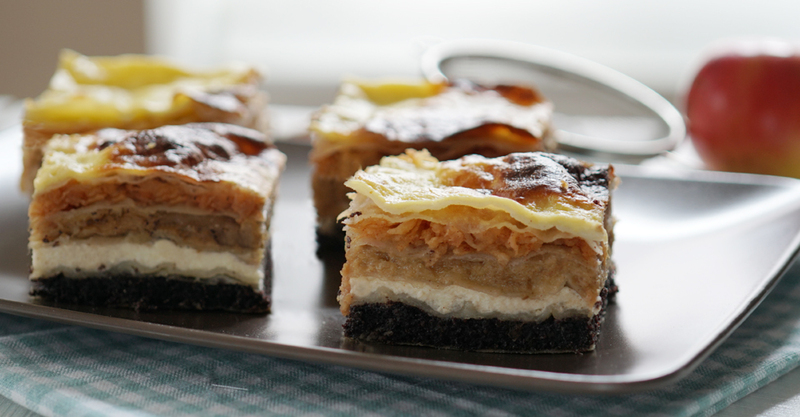 Layers of poppy seed, cheese, walnut and apple filling gives this dessert its playful flavour and juicyness. 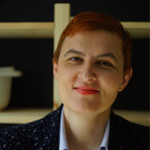 Thanks to Sandra Nedeljko for a delicious recipe of Međimurska gibanica. Prepare a smooth and soft filo pastry made of flour, salt and lukewarm water and mix it with an electric mixer. Briefly kneed on a slightly floured surface. Divide in two parts, coat with oil and cover with plastic foil. Leave stand in refrigerator for an hour, and you can also leave it over night. During that time prepare the fillings. Mix the ground walnuts and sugar. Pour rum and warm milk and mix it all well. In the same way mix the ground poppy seeds, sugar and warm milk. Peel and grate the apples, then add sugar and cinnamon and mix it all well. To prepare cheese filling first mix the egg, sugar and salt, and then mix it all together well with a strained cheese. For the coating, mix well the sour cream and egg to get a smooth mixture. Sprinkle the tablecloth well with flour, and then put the pastry onto it. Roll thinly, and then use the upper parts of your palms to pull the pastry from the middle towards outside until you get a thin and see-through filo pastry. Remove the thick edges with scissors. Repeat the procedure with the other half of the pastry. Use paper or cardboard to make a scheme of the baking pan (20×35 cm/7.9×14 in). Use it to cut the pastry with scissors in multiple pieces (you will require 10 sheets). Sprinkle the pastry slightly with flour and let dry for about 30 minutes. Coat the bottom of the baking pan with lard. Place a sheet of filo pastry, sprinkle with oil and place another sheet. Sprinkle with oil and then distribute the poppy seed filling. Then again place a sheet of filo pastry, sprinkle with oil, place another sheet, sprinkle with oil and then distribute cheese filling. Continue with walnut and apple fillings. Gently squeeze the juice from the apples before you distribute them onto the pastry. Finish off with two sheets of pastry, over which you distribute the sour cream and egg coating. Before baking use a toothpick to prick the pastry in multiple places, all the way to the bottom. Bake in an oven previously heated to 180 °C (356 °F) for about an hour. Cube the slightly chilled cake and sprinkle with powder sugar.